If you are always finding yourself at the bad end of unfair and unbalanced relationships, then you might have People Pleaser Syndrome. Most people who have People Pleaser Syndrome, including myself, have come from a background of being emotionally and mentally abused, manipulated and scapegoated. It is nice to want to believe that the world is full of people who are compassionate and caring, but we realize that this is not the case. You may be around many good people in your situations, but it only takes one person to really injure you. You have a right to your boundaries, your self confidence and your self esteem. In fact these things are necessary for you to live and thrive well. Your dreams matter and your happiness matters, just as much as anyone else’s. I got the following idea from a Teal Swan video about how to make the decisions that are best for you. What she suggests is to ask the question “What would someone who loves themselves do?” If you keep this in mind as you are interacting with people, then you will have a frame of reference for when to say “no” to people. 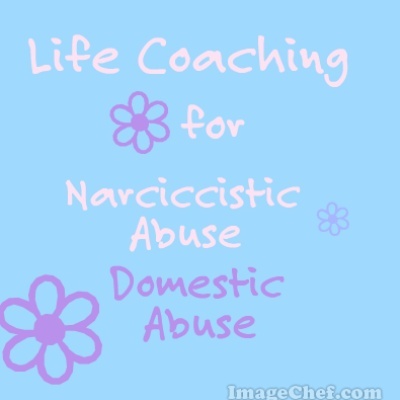 Many people that some from abusive backgrounds have forgotten or never learned how to love and care for themselves. What comes naturally to most people does not come naturally to everyone. If you have a codependent personality, suffer from People Pleaser Syndrome, or just seem to keep ending up putting the needs of others over yours, even to the point of it causing you harm, then you probably never learned how to care for yourself well. It probably puzzles you how other people seem to have it all together and you always feel behind. You feel like you are always the one who cannot do what other people can do. One of the reasons for this could be that other people are spending a reasonable amount of time taking care of the things they need to take care of in order to be okay. They make sure that other people do not guilt them into doing things for them, when there are important things they need to do for themselves. It is not a matter of not helping other people. It is a matter of not putting yourself and your needs last. You have bills to pay just like everyone else. You have a right to eat well, rest and exercise just like everyone else. When people try to cut into your time that you need to take care of yourself, then you have to practice telling them no. People may be shocked at first, because they are not used to you setting normal boundaries. But think about what they would do of you demanded that they neglect something that they really need to do, in order to take care of something for you that you could take care of yourself. Many times we agree to do favors for people who could take care of it themselves but they are just making time for themselves to do something extra. In the mean time, you are neglecting something that is much more important that if it were them, they would never even consider allowing you to interfere with by asking for a favor. Other times they could easily get someone else, who has more time and more ability to do it, but that other person is also busy taking of themselves and they are keeping the free time to do something they want to do. There should be a fair balance between people. You should not be guilt tripped into doing something that someone else could find another way to get done, at the cost of your basic needs being neglected. People who have People Pleaser Syndrome are easily manipulated into neglecting these very basic needs because they do not really know if it is okay to prioritize themselves. In the mean time everyone else makes sure that they take care of these basics and then they use the extra time to do some extra things which puts them ahead of you at something. You are the one who does not get the promotion at work even though you worked harder than everyone else. That is because while you were helping other people with their job, they were using the time to get ahead of you. People will take what they can get a lot of the time. Everyone is not like you. They will not try to balance out the favor . They will not all cover for you just because you covered for them. Learn who is taking advantage of you on a regular basis and cut them off. Tell them that you has a certain amount of favors allotted for each person in your life and that they have already used up their lifetime of favors. Take care of the people who care about you. Look at the actions of people and not just their words. Notice when people are only nice to you when they want something. Notice when people expect you to do something rather than asking you with no expectation. See what different people do when you say no. The ones who try to guilt trip or shame you are manipulative people. Anyone else would accept and respect your no.